Interior Designing and execution of design for this project was a very satisfying experience, considering that although I had designed many times, this was the first time I was also managing a project. 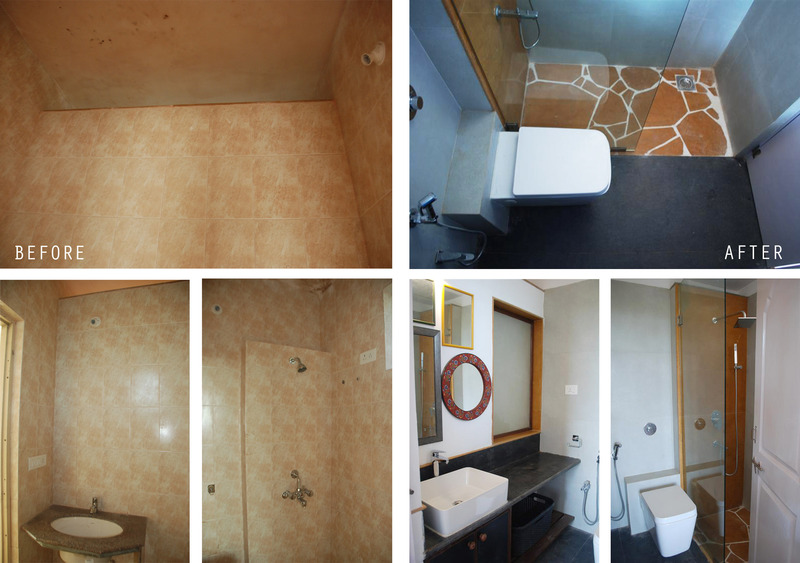 Completed the project in 4 months, including design, stripping the toilet and kitchen and fitting them with new tiles and hardware, getting the built-in and the standalone storage and furniture made, painting, polishing and lighting. Here are a few images self-explaining the before and after states. I was very happy with the way both the toilets shaped up. The bedroom offered limited space for storage, bed and desk. However, convincing the client to not have a desk and instead a window seat was hardly a challenge. We colored the full height storage the same colour as the walls, for it be less conspicuous. 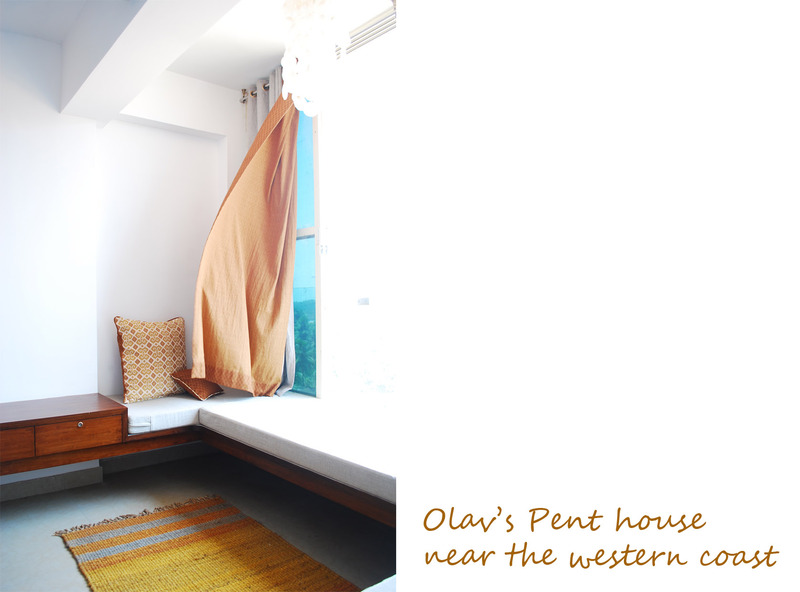 The window seat turned out to be a delight, for someone to sit and enjoy the breeze. 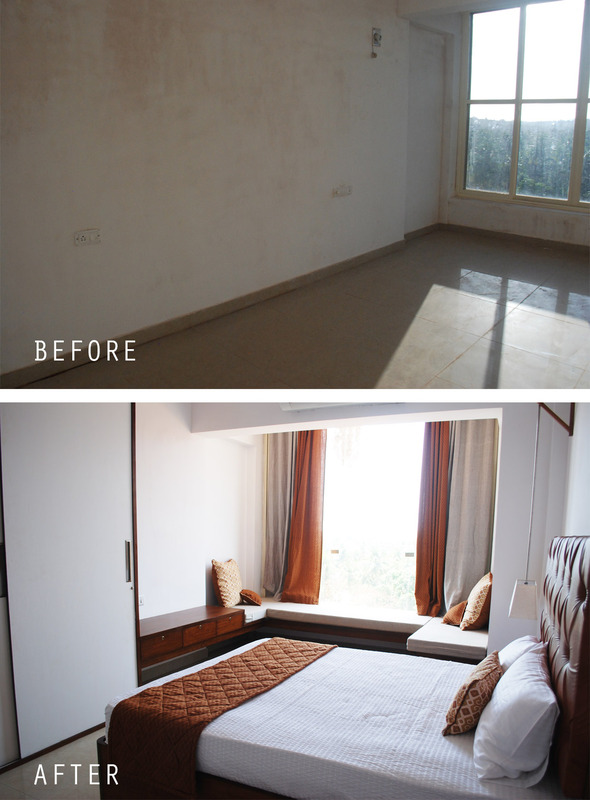 The bed and all storage was built-into the walls to maximize space. Bedside lights are kept hanging above, to maximize table space. This was my favourite re-do. 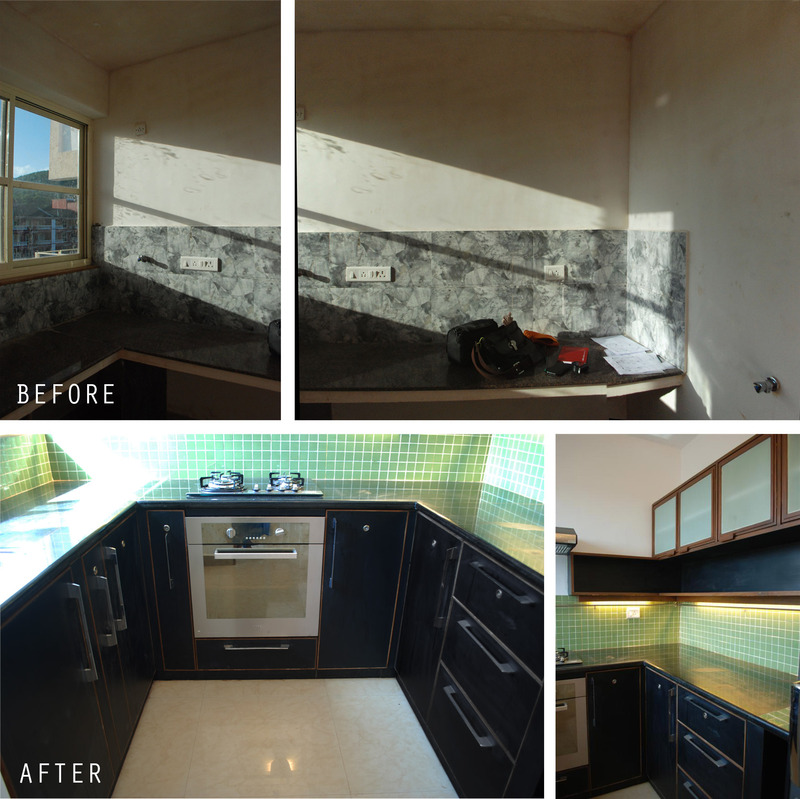 It needed biggest intervention, and so we did a complete make-over. The colour suggestions went down well with the client, and I was happy that we could bring in natural stone in combination with vitrified tiles. 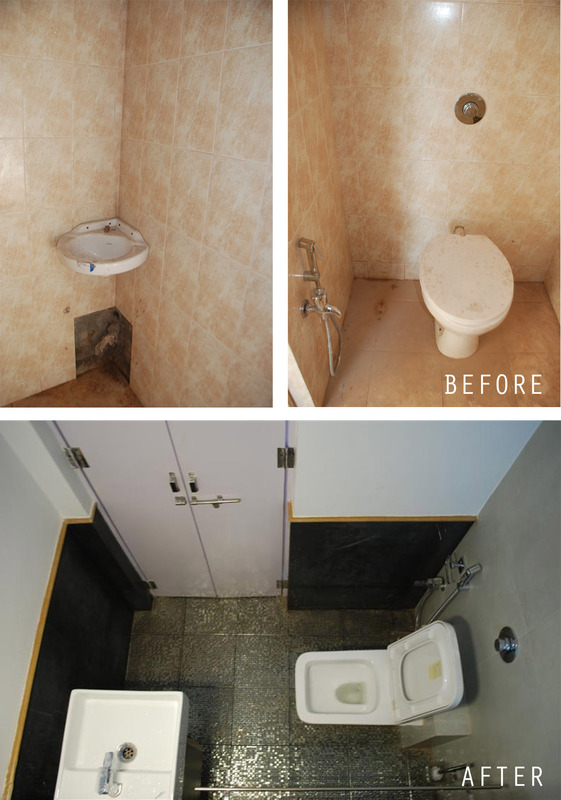 A slight architectural change that went a long way, was to create an opening between the master toilet and the powder room. This brought in more light to the powder room and created some sill space. The kitchen again needed a change of tiles, and work platform layout was extended on all three sides. Over head storage was broken into open and closed storage to break monotony and easy access. Living room is where the colours of bedroom and kitchen come together. The sofa turns into bed for guests. The TV unit got tucked into a niche along with the battery backup for the house. The dining table was specially designed for the project. About that in another post. 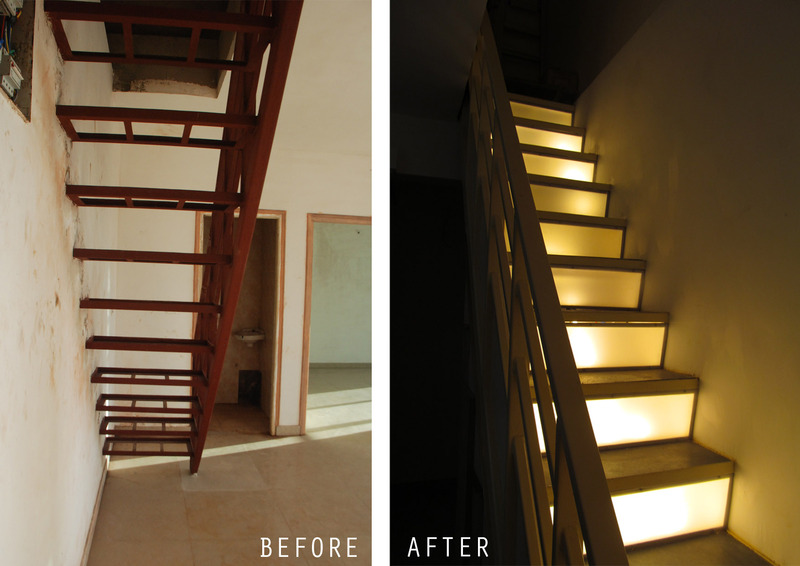 The staircase at the entrance houses storage underneath and the lights leads to the terrace lounge above, which is under way.